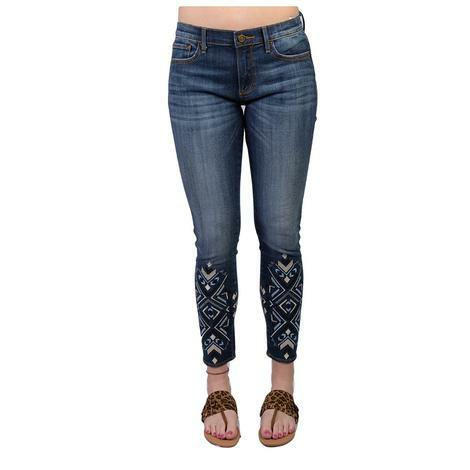 These skinny jeans are medium blue with intricate blue and white Aztec embroidery throughout. Made with 98% cotton and 2% spandex for the perfect amount of stretch. 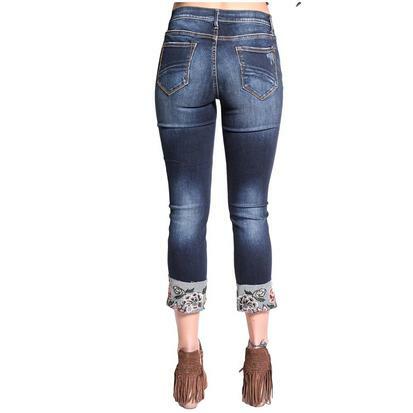 This skinny jean is made with 98% cotton and 2% spandex for just the right amount of stretch. Tan and brown floral embroidery are featured on the back pockets. 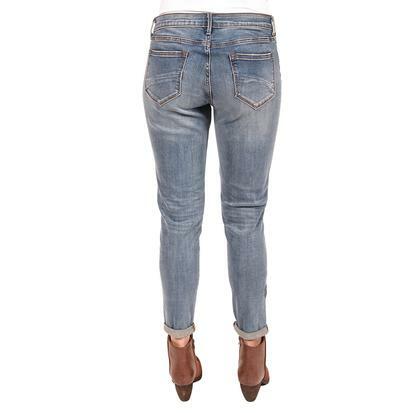 This jean from Driftwood comes in a beau boyfriend style with a medium blue carson wash. 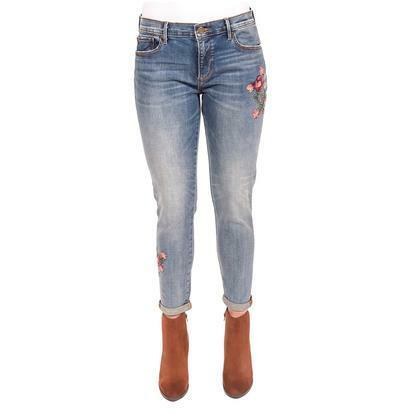 These dark wash jeans from Driftwood feature folded cuffs that have been embroidered with beautiful floral print. There is a some distressing with a single hole in the knee.